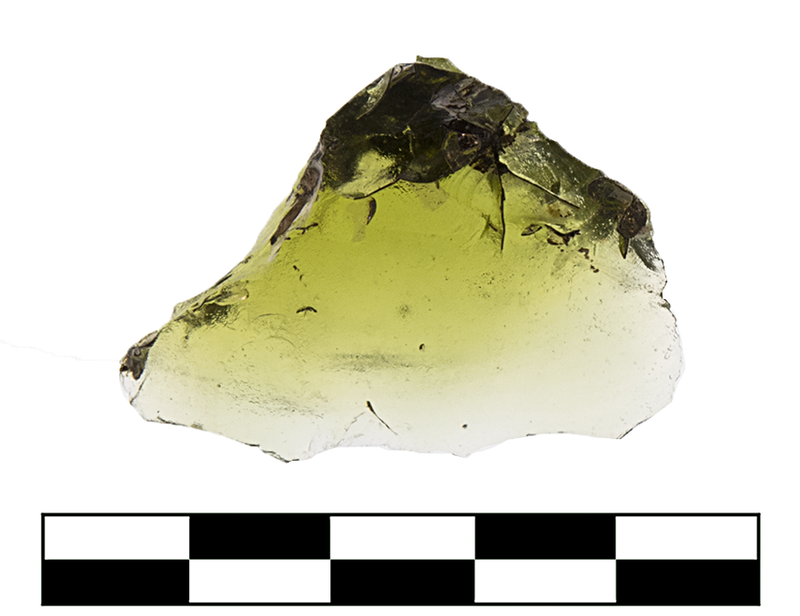 Raw glass broken from an ingot and not recycled glass or cullet. Conchoidal fracture emanating from percussion bulb? Cf. KTH100, KTH101, KTH210, KTH1296, KTH1297, KTH1302, KTH1958. Light green (PMS 372C), transparent. Rare pinprick bubbles, otherwise fine material. 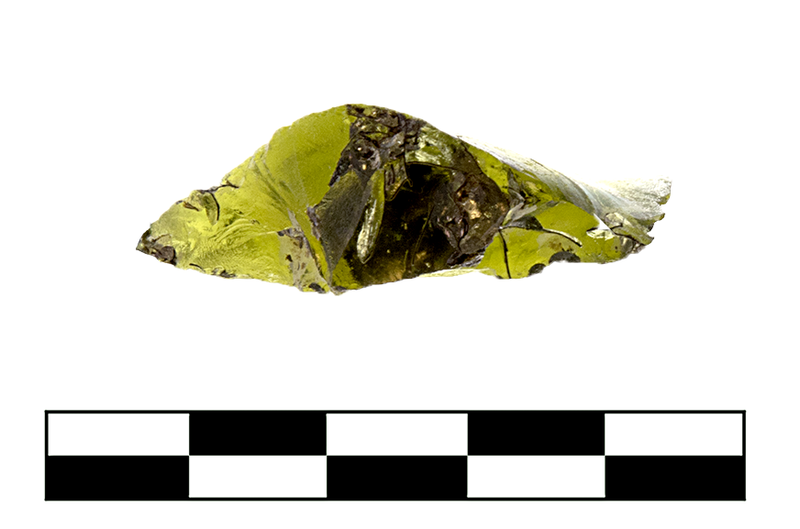 One irregular fragment. Slight, sparse pitting; patches of silver and black enamel flaking in large chips along edge.